When you reply to a review, you aren't just replying to the guest, you are replying to the 500 people that will also read that review. These days, a word-of-mouth recommendation in its online form would be considered as a review. And reviews, positive or negative, should be embraced. A review will grow in its ability to inform people about your holiday rental. It’s the wisdom of the crowd syndrome in action - when the collective opinion is stronger than that of a single expert. In this scenario, you have little control over what happens but the ripple effect of a review will have a high impact on bookings. Reviews are based on opinions that in turn are based on many different factors. People understand that reviews are subjective and opinion-based. We know that reviews are a valuable addition to your holiday home advert on Spain-Holiday.com. They provide a free, unbiased and extremely effective marketing tool to enhance your holiday home advertisement. Reviews build trust and show other guests that people have enjoyed their stay at your holiday home and that you have acted on their feedback. It’s important that you accept that not every reviewer will give you five stars. Even if you have done everything in your power to ensure their experience is a good one. We can’t please everyone all the time, but we can respond in a way that will make them feel you care. When someone takes the time to write a review about your property, it’s essential that you respond as quickly as possible. We recommend that you monitor and approve reviews on a daily basis and if possible, respond to the review within 24 hours. Respond personally to their remarks. Welcome them back to your holiday rental for a future stay. Remember those 500 potential guests that are reading your response. As an owner/agent, you should gather as many positive reviews as possible. Guests are more likely to consider properties with reviews. On the other hand, too many fantastic reviews could undermine the trustworthiness of a review system. Our experience shows that properties with only five-star reviews do not necessarily perform better than properties with a more varied rating. A range of different ratings and reviews gives customers a more realistic idea of your property. Reviewing what: the guest can rate the property, the owner, and the area. Owner comment: As an owner you will get the option to write a comment on each review. It could be used for different situations such as a "thank you" or as reply to the reviewer. Appearing online: we send the owners an email when a review has been written and we post it online, We also believe that if there is only 1 review to an advertisement and this review is negative, it may put guests off. Nobody would benefit from this, and our review system was made to protect owners from ending up in such a situation. We have therefore decided NOT to post any review that is below the score of 3/5, until you reach a minimum of 3 reviews in total, so the guest can obtain a balanced view from different guests with different opinions. Quality score: The review system is by default enabled and you are awarded with 10 points to your overall quality score for this. If you receive a negative review, reply in an even manner. Thank the guest for their feedback and if the criticism is justified, try to rectify the issue and publicly let the guest know that you have made improvements. If their complaint is out of your hands i.e. location - the apartment was situated on a noisy street. Make sure you make this point very clear in your property description (i.e. cosy apartment in the heart of vibrant Malaga city center), to avoid disappointed guests in the future. Invite them to come back again and enjoy the improvements. Contact the guest and ask if they are willing to edit or even delete the review. If the guest agrees to change or delete the review, please forward us the guest´s confirmation to support@spain-holiday.com. Send an invitation for satisfied guests to leave a review. 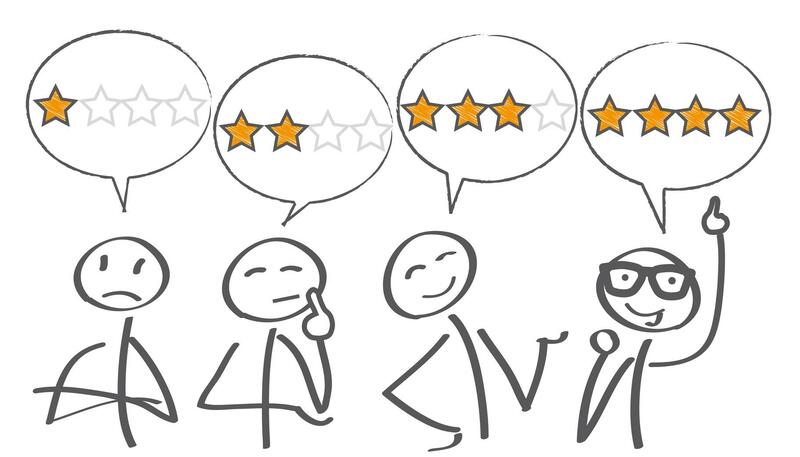 It’s a good idea to populate your review section with positive reviews, pushing any negative feedback further down. Also, remember that even bad reviews are good for you. It helps you to improve your features or performance for future guests and it also helps to generate trust. Would you trust an advert that has no negative feedback? If there is obvious proof of the review being abusive, unethical or written to damage the owner, our Support team will look into it.